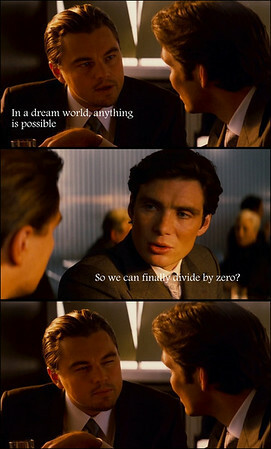 How’s that for Inception? | Analyze the Data not the Drivel. For more of these little nuggets check out Proof. This entry was posted in Movies, Reviews and tagged Inception, logic, oops by John Baker. Bookmark the permalink.